Learn technique, repertory, new choreography and musical theater with a professional artist in this week-long intensive study. Open to intermediate & advanced dancers only. LIMITED SPACE AVAILABLE - DON'T WAIT! Joseph Ambrosia is an emerging performer, director, educator, and choreographer. As a performer, Joseph has appeared throughout the United States with Disney Cruise Line, The Laguna Playhouse, The Eldorado Casino Resort, Dorney Park and Wildwater Kingdom, The Shawnee Playhouse, and The Sherman Theatre to name a few. 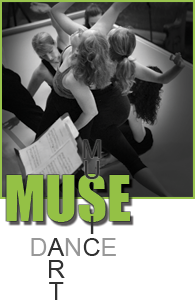 As a founding faculty member of The Fusia Dance Center, he leads instruction in multiple dance styles, including developing and implementing the area's only adult modern dance company - the Fusia Dance Lab. Under his artistic direction, the company made their debut at the famed Dixon Place in New York City. Winner of multiple NEPTA Awards including 'Best Director', 'Best Choreography', and 'Best Overall Production'. In addition to his work with Totts Gap Arts, Joseph directs and choregraphs for various local theaters, while also serving as Director of Musical Theater for In2YouArts Center. Join us for our Summer Dance Intensive as Joseph leads a week of movement study including classes in stretch & conditioning, fundamental jazz, contemporary modern, jumps, leap & turns, improvisation and the opportunity to learn Joseph's original choreography.